The Sea Otter Classic announced today it is supporting the Sea Otter Europe / Costa Brava - Girona Bike Show. GiOutdoor, a preeminent European sports promotion company, will host the festival in beautiful Girona, Spain on June 3-4, 2017. Cyclists who attend Sea Otter Europe can expect to see many of the same events and activities that they have grown to love at the Sea Otter Classic in Monterey, CA. Mountain bike racing, dual slalom, pump track, children's activities and the expansive product exposition will be just some of the highlights of this European bicycle festival. GiOutdoor organizes the Transpyr Coast to Coast, considered by National Geographic Adventure as one of the ten best Mountain Bike events in the world. They are also the creators of events such as The Pirinexus 360 Challenge and the Sealight-Camí de Llum. For Sea Otter Europe / Costa Brava - Girona Bike Show, GiOutdoor will collaborate with Ocisport Outdoor Experiences, organizers of UCI World Championships and World Cups, Volcat, BUFF Epic Trail, and many other events. "We are thrilled to have the opportunity to work with GiOutdoor to introduce our celebration of cycling to the European market," said Frank Yohannan, president and CEO of the Sea Otter Classic. 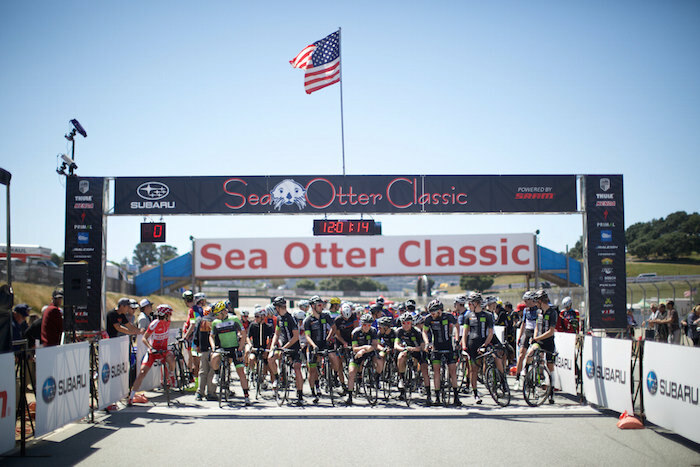 "Reaching more cyclists and outdoor enthusiasts has been the long-standing goal of Sea Otter. Girona and the Costa Brava region is the perfect location for us to be able to expand our reach to the European cycling community." Regarded as the world's largest cycling festival, this four-day "Celebration of Cycling" hosts nearly 10,000 professional and amateur athletes and 70,000 fans. The 27th Annual Subaru Sea Otter Classic Powered by SRAM takes place April 20-23, 2017 at the Laguna Seca Recreation Area, Monterey, California. For more information, visit www.seaotterclassic.com or call (800) 218-8411. The cycling festival will be hosted in Girona and the Costa Brava, a region that has become an ideal destination for cycling. Every year, this area is chosen by numerous professional teams and athletes, enticed by the charm of the surrounding territory ranging from the Pyrenees mountains to the renowned beaches, the quality of the sports infrastructure, and the range of available tourist services. Outdoor enthusiasts and all levels of cyclists, from the recreational rider to professional athletes, will enjoy the offerings of Sea Otter Europe / Costa Brava - Girona Bike Show.